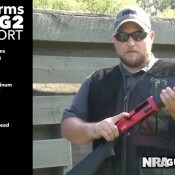 American Rifleman’s Christopher Olsen dissects the features of the Tristar Arms Viper G2 SR Sport shotgun. Great for Sport Shooting and maybe even hunting. Awe sweet! How Gorgeous is this?? ?